Queen of Katwe is one of the most inspirational movies of 2016. It is one of the most well acted, well directed, and well written films of the year. It stars Academy Award winner Lupita N’yongo and David Oyelowo alongside newcomer Madina Nalwanga. Yet it ranks 130th out of all the movies released in 2016. Given the smaller number of theaters it played in, the movie did well for itself, but far too few people saw this gem when it came out in theaters. Now there is a chance to see it for yourself and fall in love with it when it is released on Blu-Ray at the end of January. Queen of Katwe is a movie about family, faith, and hope. It could easily have become a movie about poverty and pity, but instead when you watch this film you can’t help but be inspired by this young woman’s struggle to overcome the odds and succeed. Phiona Mutesi is a real-life inspiration and her story shines through in director Mira Nair’s telling of it. Phiona’s mentor, Robert Katende is an inspiration on his own and makes you believe success is far more about the impact we make in the lives of people around us than anything else. Lupita Nyong’o and Madina Nalwanga star in the triumphant true story QUEEN OF KATWE, directed by Mira Nair. The Blu-Ray (and digital HD) release of the film includes deleted scenes that flesh out some of the background of the story. The introductions by Mira before each on gives insight into the context of each scene. The short film A Fork, A Spoon & A Knight tells Robert’s story in greater detail and makes his story even more remarkable than what you see in Queen of Katwe. But the additional feature I enjoyed the most was Queen of Katwe: Their Story. 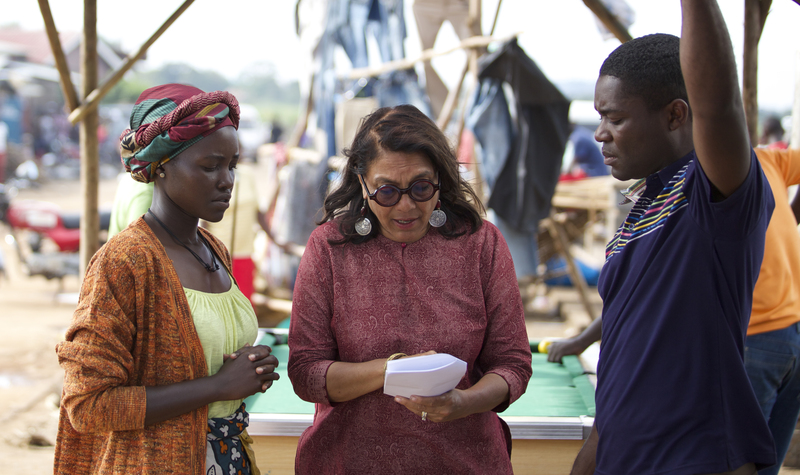 Director Mira Nair on the set of Disney’s QUEEN OF KATWE iwith David Oyelowo and Lupita Nyong’o. The vibrant true story of a young girl from the streets of rural Uganda whose world changes when she is introduced to the game of chess, the film also stars newcomer Madina Nalwanga. It tells about the making of the film but in an engaging and interesting way. Mira comments on the fact that Madina (who plays Phiona) was able to offer personal insight into some of the scenes because she lived them herself. Knowing how to clean yourself with only 2 inches of water, how to carry a basket of maize on your head, were all things Madina has had to do as well. How deeply personal this film is for not just the people it is based on, but for the actors and even for director Mira Nair. Even the church where the kids first learn to play chess is the actual place in Uganda where it happened. It will take your appreciation of the film and of Phiona’s story to another level. If you haven’t had the chance to see the film, take this opportunity and see it now. If you have seen it, make it part of your collection. You’ll have an even deeper love of it after watching the special features. 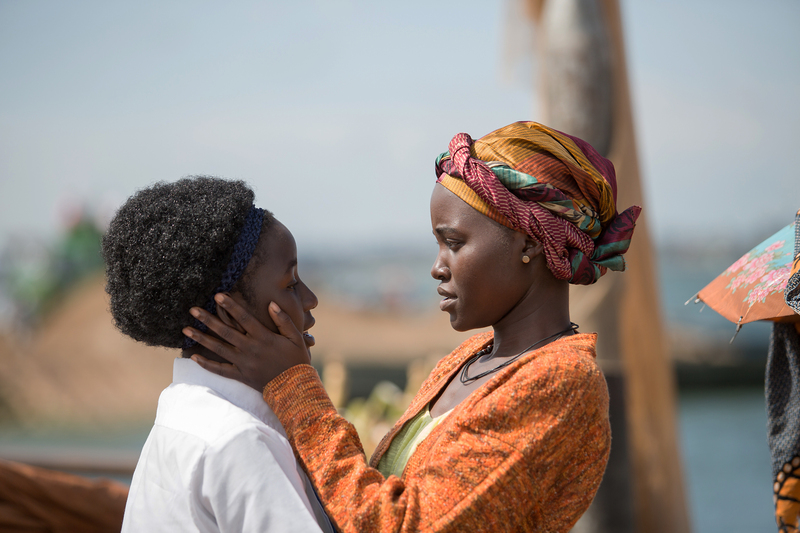 Queen of Katwe will be a movie that rules your heart, mind, and soul. Queen of Katwe comes out on Blu-Ray 1/31. It is already out on Digital HD. 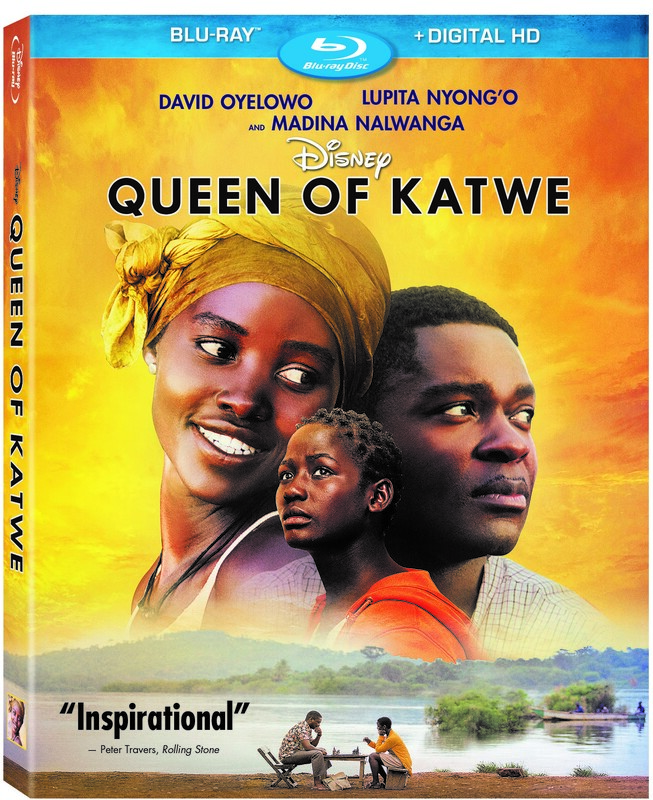 Read my original review of Queen of Katwe on the Disney Nerds blog.